Lay's Stackers (Buffalo Wing flavor) are delicious. 0:27 Yup, you guessed right. I hope we get a scene where Tom comes in with a pet cage after tranquilizing Sonic.. Tom: Hey, so um, You treat animals here right? Annie: Of course. Tom: Good, because I got something you've probably never seen before. Annie: Oh please. In my line of work, you see 'em all. Cats, dogs, horses.. (Unconsious Sonic plops onto table) Annie: (recoils in shock) WOAH! WHAT THE HECK IS THAT THING!?! Amazing fanmade music video featuring Squigglydigg! Last Jedi was boring. Forces Awakens was a Happy Days reunion special. The main trio (Rey, Finn, Poe) are bland and soulless leads in these films. Snoke was a wasted villain. Uh, What does this have to do with Sonic? I wonder if Paramount is waiting until AFTER Detective Pikachu has left theaters to release it. 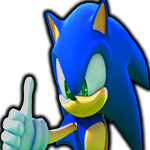 Pikachu has gotten a lot of positive buzz (Eh) whereas Sonic has been harshly criticized. Maybe they're waiting for the public to forget about Pikachu before showing off Sonic? The two have been compared a lot. Idk. It's gonna be fun to watch the internet implode when that trailer is finally released. Well there's supposedly a scene in the trailer where Stone gives a dancing Robotnik a latte..
Tom will bring him back with a kiss. Theory: The spaceships mentioned in the teaser are from Robotnik. A plot twist will reveal Sonic isn't actually from another planet, he's from the future, where Robotnik conquered the world. People at CinemaCon mentioned a scene where a game accurate Robotnik stands in an 'apocalyptic setting' Present day Robotnik will be Jim Carrey with hair and black suit. Future Robotnik will be Jim Carrey as a game accurate Robotnik. 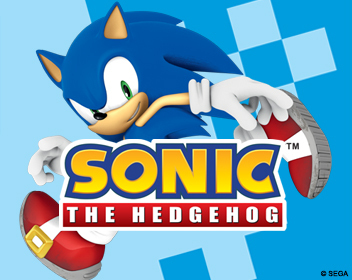 Sonic must be in the present day to stop this 'apocalyptic setting' from happening. This guy cannot be serious. I remember in the 40's-50's of the Archie run, Sally madeout with Geoffrey a lot, sometimes right in front of Sonic (despite Sonic & Sally being romantically involved) so the idea of her flat-out cuckolding him isn't much of a shock to me. Sally treated him like a doormat and two-timed him with no remorse. And Sonic outright worshipped her in return. The entire Archie comic has always been a huge dumpster fire. I'd like to know if he is actually wearing Nikes. All of this sounds AMAZING!!! I can't wait to see it!